There were 140 in attendance the first Sunday that Community Grace Brethren Church, Whittier, Calif., worshipped in their new facility. In the spring of 2009, Community Grace Brethren Church (Richard Todd, pastor) in Whittier, Calif., sold their facility to an evangelical, Bible-teaching church and embarked on a search for a new place to worship. While they looked for a permanent location, they met on Sundays at the Whittier Senior Center. In September 2010, Pastor Todd announced that they had closed escrow on a former furniture store, located at 8109 Greenleaf Avenue in Whittier. Since then, they have been renovating the facility for use as a church. Community Grace Brethren Church, Whittier, Calif., renovated a former furniture store for their new church campus. 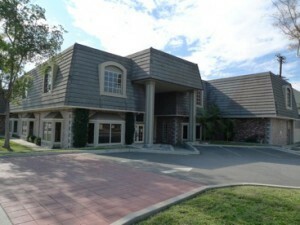 We were given the green light to begin worshipping at our new church campus on Friday, May 27, 2011. Then we started calling to get the word out. 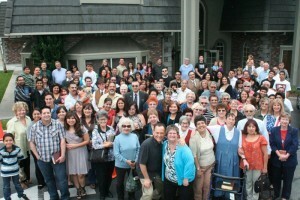 I was excited as we moved in to our new church campus on Sunday, May 29, 2011. In the future, each Memorial Day weekend we will have an additional remembrance in that we occupied our new church campus that weekend. I am still excited.